Lawyer Khaled Ali, seen as the last real challenger to Sisi, quits the race to be president. 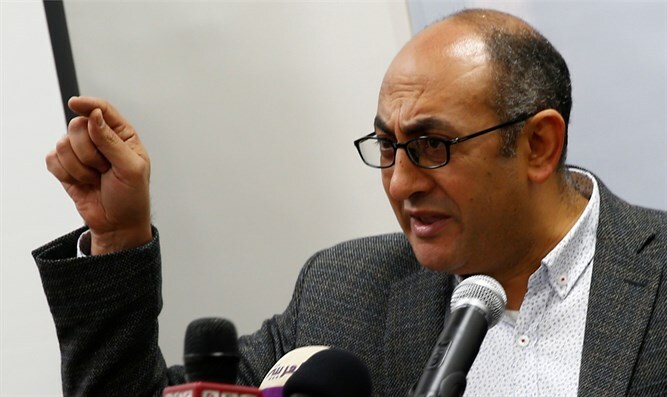 Khaled Ali, a rights lawyer seen as the last real challenger to incumbent Egyptian President Abdel Fattah Al-Sisi on Wednesday quit the race to be president, AFP reported. "Today we announce our decision that we will not run in this race," Ali said at a news conference in Cairo. A presidential candidate in 2012, the 45-year-old Ali said he had been forced to pull out of this year's election, to be held on March 26-28. There were, he said, "signs that pointed to a will to poison the whole operation and to corrupt and empty it of its supposedly democratic content." They included the arrest of some of his campaign activists, a tight schedule that made it difficult for potential candidates to gather the needed endorsements for their applications, and a generally unfair climate. Ali had yet to submit his candidacy for the election. From the start "our announcement was met with an angry and irresponsible reaction, manifested in the arrest of a large number of the campaign's youth," he said, according to AFP. The arrests had started a few months "before we officially announced our intent to run... with some referred to urgent trials," said Ali, who had announced his intention to run in the race in November. Ali also cited a case filed against him, where he was sentenced in September in absentia to three months in jail on accusations of "offending public decency", a ruling he appealed. This was in relation to a photograph that appeared to show Ali making an obscene gesture while celebrating a court ruling in the case of the transfer of the islands of Sanafir and Tiran to Saudi Arabia. Ali alleges the picture was fabricated. Ali became the latest in a string of potential presidential candidates to withdraw from the race. On Tuesday, Egypt’s former military chief of staff, Lieutenant General Sami Anan, halted his presidential campaign after he was detained and accused by the army of breaking the law by running for office without permission. On Monday, Mohamed Anwar Sadat, a nephew of the former Egyptian president of the same name, said he would not stand because the climate was not right for free elections. The only remaining well-known potential candidate is now Mortada Mansour, the head of Egypt's legendary Zamalek football club, noted AFP. Sisi publicly confirmed last Friday he would seek a second term in the election. On Wednesday, he became the only candidate so far to formally submit his bid to stand in the election.